Eric Harvey is a doctoral candidate at Brandeis University in Near Eastern and Judaic Studies. He is ABD, which means he only has one more assignment to complete before he becomes a doctor—it just happens to be a several-hundred-page dissertation. He specializes in Bible and the Ancient Near East, which covers the history, literature, and religions of ancient Israel, Syria, Iraq, and the surrounding areas. Mostly he reads texts from the Hebrew Bible, from Assyria and Babylon, from Phoenicia, and from a whole host of other little kingdoms that almost no one’s ever heard of, and tries to make sense of them and their world. 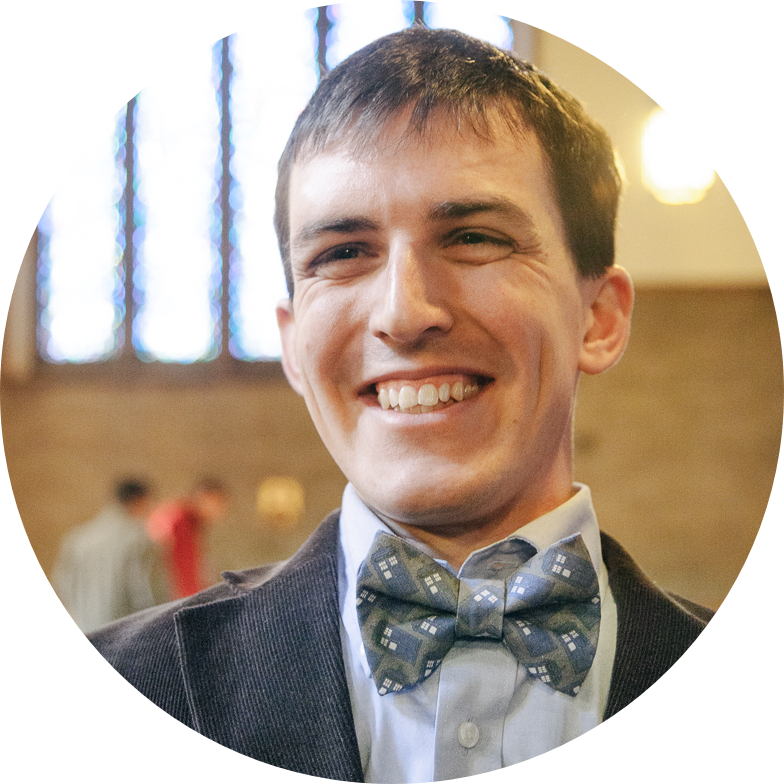 His dissertation is (going to be) about how texts change over time as they are copied, edited, and combined, using biblical Psalms and Mesopotamian hymns as data. Eric is married to the beautiful and talented Kristin Myers Harvey, who inspired this blog. She is an Interaction Designer whose work can be seen here. He is also the father of Jane, who was born in 2014. Eric is intent on finding creative new ways to engage in scholarship, family, and the world as a blind person. He is writing this blog to share the process and hopefully learn from others who might wander by.